Chem-Dry Rapid Dry offers a range of quality cleaning services in Sydney. Fast drying and very effective, our company will clean your carpets, rugs & furniture without the fear of starting mould incubation. Chem-Dry Rapid Dry uses the most advanced eco-friendly cleaning solution available today. Call 1800 757 883 to consult our expert cleaners! Chem-Dry specialises in carpet cleaning to get rid of stubborn stain removal. We have a range of sanitisation and odour control options for more complex spillages. Carpet cleaning Sydney wide is our most important service and Chem-Dry Rapid Dry has a large loyal repeat customer base. This is a service that sets us apart from our competition. Chem-Dry cleans the whole ranges of upholstered fabrics including the ones that other companies do not want to touch. We even get recommendations from other couch cleaners from time to time. Experienced well-trained Chem-Dry technicians combine with state of the art eco-friendly upholstery cleaning solutions to give you fantastic results. Part of our cleaning service is to restore rugs to their original condition. Whilst this is not always 100% possible, our technicians will strive to clean, sanitise and protect your rugs to the highest standards. When it comes to rug cleaning, we understand that your rugs have a special value which cannot always be measured in dollars and cents. You spend a significant time resting each day. We clean and sanitise beds and mattresses on an almost daily basis. Chem-Dry has a dust mite treatment that comes with mattress cleaning to relieve allergies so that you can sleep peacefully. Flooded carpets are never fun. Our emergency team of water damage restorers is waiting for your call. We have the expertise and equipment to respond quickly and effectively. Chem-Dry is an insurance approved supplier for all major insurance companies and we are able to deal with any type and size of wet carpet event. Chem-Dry brings dull and dirty leather couches back to life. By gentle cleaning and conditioning, we have helped clean leather furniture throughout Sydney. 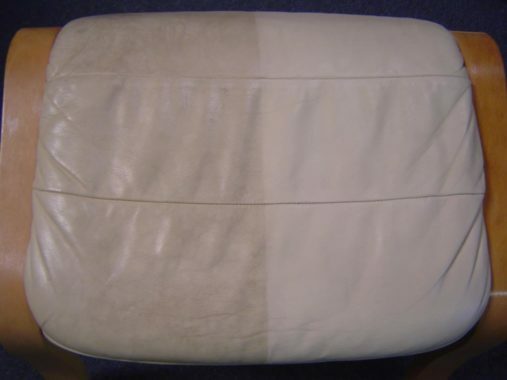 Some of our very best results are with very grubby white or beige leather lounges. Just another quality cleaning service on offer! Office carpet and chair cleaning. Pubs, hotels and clubs carpet restoration. Medical centres, cinemas and shops. Chem-Dry Rapid Dry has a team of experienced cleaners looking after all your after-hours cleaning needs. Get more cleaning information on these links for carpets, upholstery, rugs, water damage, and commercial cleaning.